Guillowâ€™s Jetfire Glider Twin Pack. The original Guillowâ€™s Balsa Wood Planes from more than half a century ago. 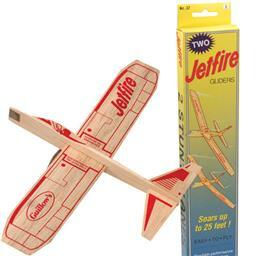 Two Gliders are included that soar up to 25 feet.